I think the biggest beauty question I get regularly is "What products are good at getting rid of dark spots/hyperpigmentation?" I don't typically suffer too much from this issue - though I have a bit around the top of my hairline on each side of my face. It's not extremely noticeable and has been there for about 10 years. However, recently I have had a few more spots pop up on my face (rude, I know), and I felt that makeup was just not doing the trick. 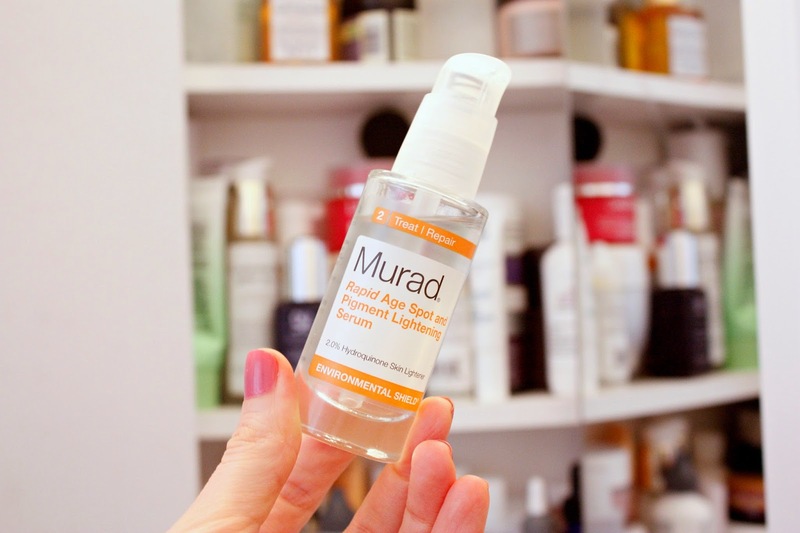 I wanted to see if all the hype I had heard surrounding Murad Rapid Age Spot and Pigment Lightening Serum was true. So I gave it a 4 week trial on a recently arrived dark spot on my right cheek. Below is a before (left) and after (right) pic of the spot. While the spot was not exactly the most intense spot ever, it was definitely more prominent in person. 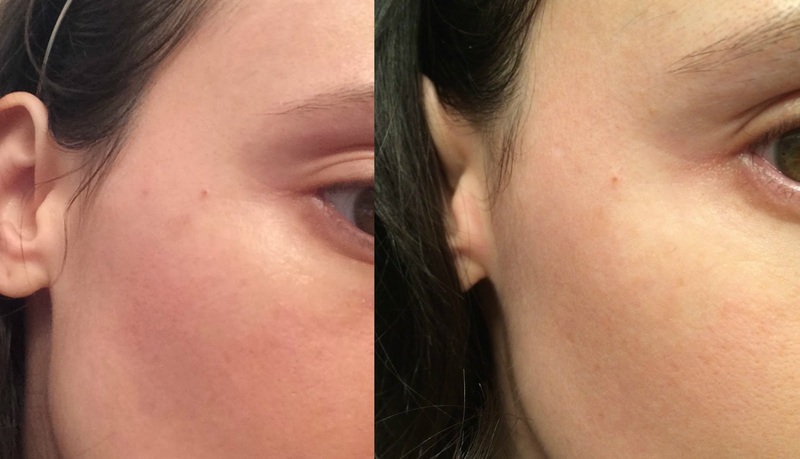 After 4 weeks, I did see a noticeable difference in the spot, and it was almost gone! HOORAY! A few things to note about the serum however.....it does have quite a strong scent and the texture is a bit tacky. Neither of these issues bother me since I only care about results! (I would put dirt on my face if it was good for me) I typically apply it in the evening after I have cleansed and toned and before my moisturizer. Obviously I wear sunscreen every single day, but when using a lightening serum it is extra important so as not to bring the spot back! As far as the hyper pigmentation around my hairline, it did not fade it as much as the spot. To be honest though, I was not anticipating great results for that area since I have had it for so long and it is sooooo faint in color. This dark spot however, popped up overnight and was quite prominent on my cheek. After reading all the reviews online and personal recommendations from friends, I was happy that the serum lived up to all the hype. Now if I can only make it through the summer without adding another one to my face. Ugh. Have you tried any skin lightening products? Which ones worked for you?